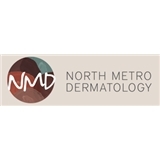 North Metro Dermatology (North Oaks) - Book Appointment Online! Please note, if you are scheduling an appointment for a cosmetic consultation, you will be seeing Natalie, our esthetician. Our mission is to provide comprehensive dermatologic care to patients of all ages. Using the best and most appropriate technologies in dermatology, we tailor treatment plans for our patients to improve skin health and appearance. With a warm, welcoming and knowledgeable support staff, electronic medical record systems and all major insurance carriers, including Medicare, accepted, the practice looks forward to what we do best; putting you, the patient, first. We proudly serve the dermatology needs of North Oaks, Arden hills, Shoreview, Vadnais heights, Roseville, and St.Paul. Dr Rahil put me at ease and clearly answered all of my questions. She gave me as much time as I needed, but was efficient and got me out of there quickly.